Identifying as a tomboy from a young age, Jenn grew up playing as many sports as she could. When she was forced to choose her top sport, hockey led her to Brown University, an Ivy League school in Providence, RI, USA. 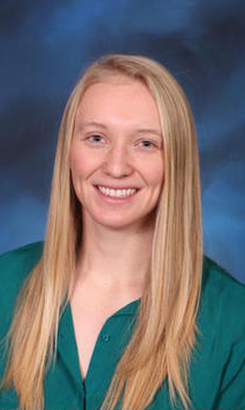 As an undergraduate student, Jenn pursued a BA in Health and Human Biology with a focus on International Health and Education while playing on the varsity hockey team, which she captained with another player in her final year. In her spare time, she played club volleyball and joined various school clubs that focused on different aspects of health. Jenn interned with Brown’s Strength and Conditioning department and learned from the best about the other side of the coaching and training that she’s been receiving throughout her athletic career. As a result, her programming is strongly influenced by athletic training methods. Volunteering with Clinica Esperanza/ Hope Clinic, she helped open a free nurse-run clinic for the uninsured in the local area. The success of the clinic was a testament to the volunteer efforts, but also made her realize how our society treats health: a commodity. This realization sparked her drive to ensure all health services are accessible to everyone in the community. Our success will be measured by how many lives we can change through simple preventative methods. From here, Jenn continued learning more about the human body in the Biotechnology MSc program at Brown. Graduated, she is looking to go back to school for osteopathy so that she can provide the best quality services to our community. She looks forward to helping you achieve your goals!